This is a quick, tasty, and unique way to jazz up chicken. 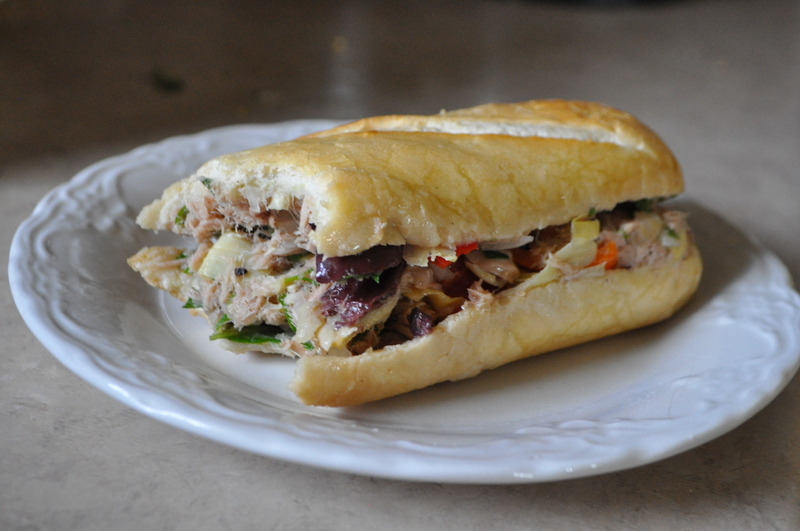 I really enjoyed it’s peppy flavors and the ease with which I could throw it together. 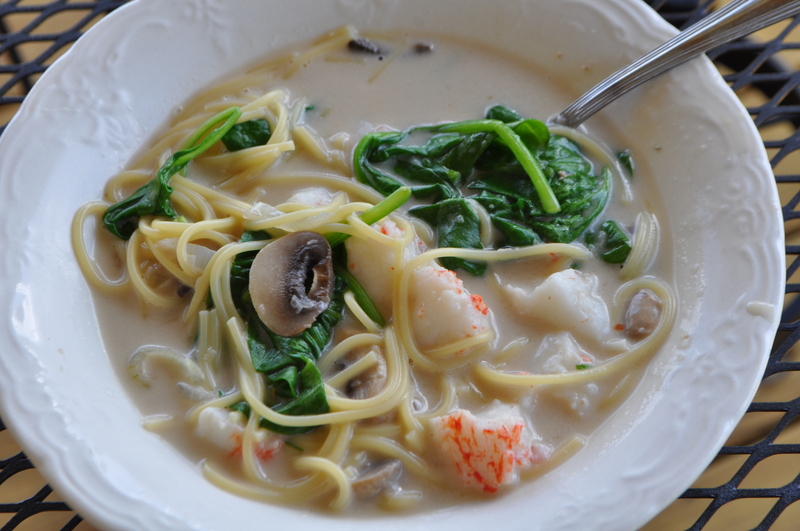 A great lunch or light summer supper. Combine the first 9 ingredients. 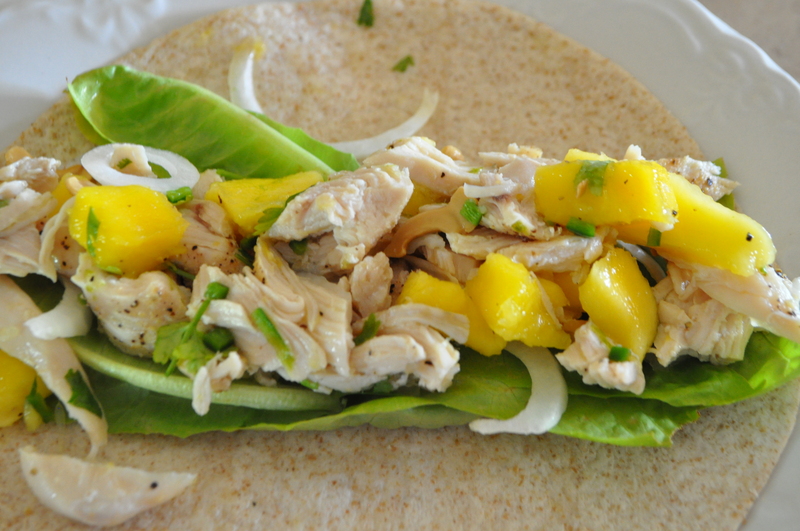 Place lettuce down the center of the tortilla and top with half of the chicken salad. Enjoy!!! 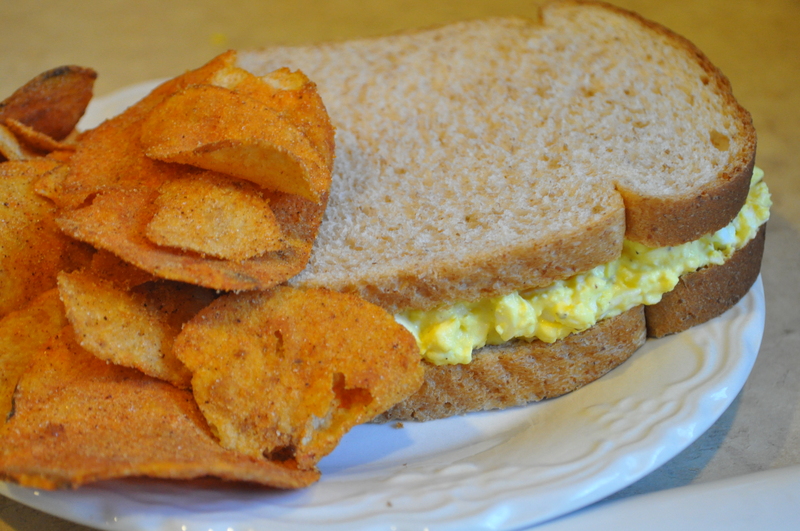 Fun Fact– Pimento cheese sandwiches are the signature food of the Masters Tournament in Augusta, Georgia. 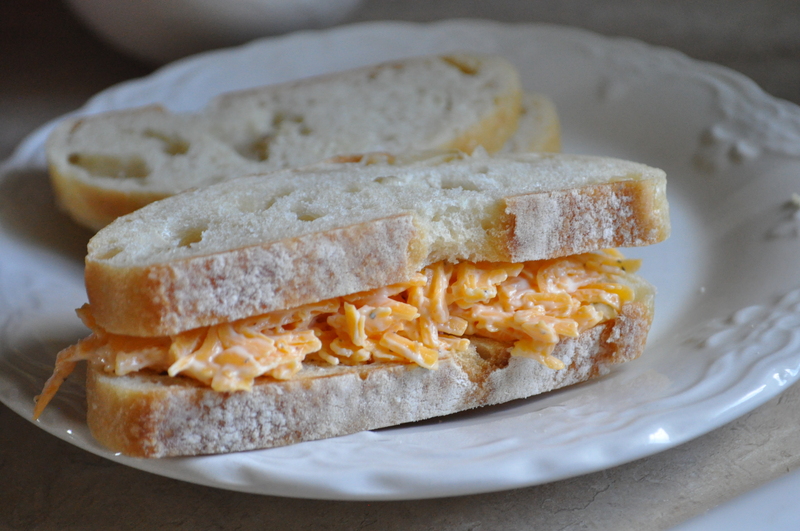 Pimento cheese is most well known served in the sandwich form. However, it is also fantastic spread on hamburgers, hotdogs, with crackers or chips. 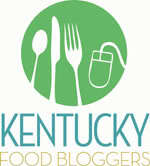 The perfect kind of old fashioned, Southern food, it has notoriety equal to fried green tomatoes and good BBQ. 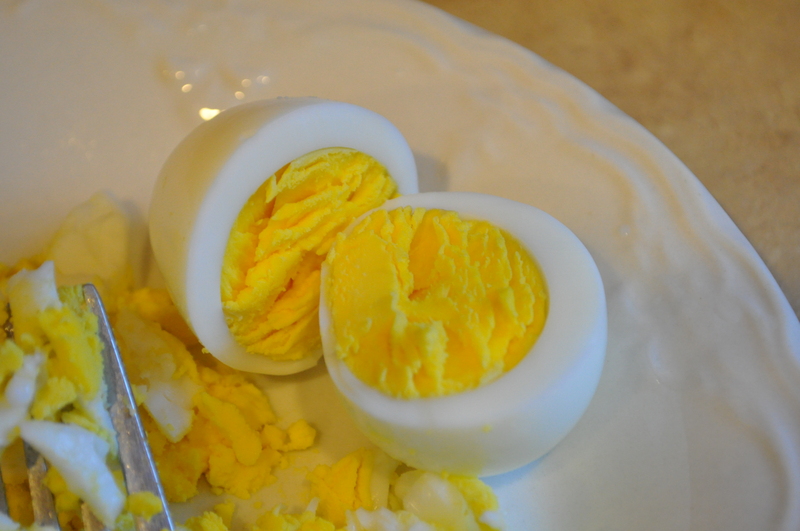 The most simple version consists of sharp cheddar, mayo, pimentos, salt, and pepper. More complex versions include cream cheese, onions, jalapenos, pickles, and *gasp* Miracle Whip. (Please note that including Miracle Whip means you are no longer making pimento cheese.) There are many varieties varying from region to region but this version is full of flavor and easy to make. Stir together first 5 ingredients in a large bowl; stir in cheese. Store in refrigerator up to 1 week. Warm the sauerkraut and turkey, separately, in a microwave-safe bowls for 30-seconds; set aside. Spread butter generously on one side of each slice of rye bread, then spread the thousand island dressing on the other side. 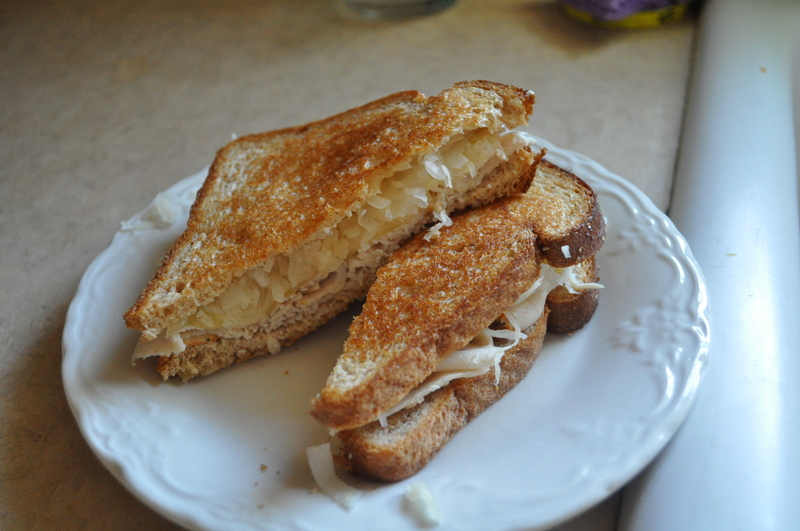 Divide the sauerkraut, turkey, and Swiss cheese on two slice of bread with the butter-side down. Stack the remaining two slices of bread with the butter-side up on top. Heat a large skillet over medium-low heat. Grill until lightly browned and the cheese is melted, about 3 minutes on each side.